One of the evergreen mainstays of the repertoire, it'll always woo affection from the broad listening public. In fact, hard as it is to believe, in the late 30s there (supposedly) was an absence of this work in most pianists' repertories. Wrote Paul Grabbe in "The Story Of 100 Symphonic Favorites" (1940, Grosset & Dunlap): "Today the concerto excites us less; it has been heard too often, played to death.....It is only fair to add that WE have changed, not the concerto. Its youthful charm, its freshness and vigor are still there." I say AMEN to that, and would add that there is indeed an eternal youthfulness about this work that I just don't sense in other concertos I've known. Being a former classical pianist who had readily devoured all of Grieg's solo piano music (I played the G Minor Ballade, Op.24, at my first college solo recital), it will always be a source of regret that I never had the gumption to take on the concerto--doing it with an orchestra was even more In Your Dreams. But today it shows no sign whatsoever of being abandoned in the current repertory, and it's a matter of time before DGG has Lang Lang do it for them (& us). Among other modern recordings, Thibaudet does a nice take on it, though his is nowhere near the top in my book. I have yet to hear Andsnes 2, and am searcing the public libraries for it. But it's the old classic performances I'm passionate about. Philippe Entremont (late 50s) did what, in my opinion, is the ALL-TIME CLASSIC reading; passionate, virile and (yes) youthful. Its early-stereo technology is hokey as all get-out (it lapses into mono at places, particlarly in the first-movement cadenza); but the conviction and sheer perfection (OK,OK, so Entremont DOES do a clinker toward the cadenza's end!!) sweep away all nitpickiness about sonic quality. With expert backing by Ormandy, you can't possibly go wrong; listen, too, to how Ormandy modifies his accompanimental approach in his performances with Rubinstein & Cliburn. There are the first few complete recordings of the concerto that rank right at the top: Percy Grainger, and especially Arthur DeGreef (with able backing by Sir Landon Ronald, in an early-electric recording of the late 20s......small emsemble but a real surprise to hear how well it can work with a chamber-like texture!). Wild/Leibowitz/RPO - and I have heard Kovacevich, Rubinstein, Cliburn, etc. This has thje sort of qualities that were ascribed to Entremont but without the last movement 'clunker'. Edvard Grieg is Evergreen indeed! I can't testify to the greatest rendition og the Grieg Piano Concerto, but I will vouch for Krystian Zimmerman with Von Karajan and Berlin on DGG. The performance I love most, however, is Cecile Ousset with the LSO/Marriner recorded in the mid 80s. Every touch of Ousett's fingers on the keyboard is a thrill; and while I'd give the third movement to Gimse on Naxos, I've yet to hear the second movement played so movingly. Ousset's entrance seems to glide in seamlessly, her pacing is just right, and unlike Kovacevich - who, for me, plays loud and hard when he should play quiet and soft, and vice versa in the second movement - Ousset beautifully balances the masculine and feminine in this great work. I shall continue to acquire more recordings as time passes, and let you know if my thoughts and feelings change. For sentimental reasons, the Gieseking/Heger recording. My mother had the 78 of this and it is one of the first pieces of music I learned to recognize. Followed by the especially affectionate reading of Andsnes/Kitayenko. Karajan not behaving teutonically, Zimerman displaying unheralded virtuosity, BPO having a whale of a good time. An all-stops-out performance. HvK RARELY gave us one of those. Still haven't heard the Zimerman/Fluffy version yet. Nor the Andsnes, which has gained rather wide acclaim. Of the ones mentioned, I must agree with holden (we tend to agree on a lot of stuff) that Wild/Leibowitz is most satisfying. I have it on vinyl and it is the version I turn to most when I want great performance AND impressive sonics. I have another Wild on US Columbia vinyl, but it's not nearly as well recorded. Solomon's early stereo version still ranks high in my personal preference, in part because it was the first version I bought for myself (and it "stuck") but mainly because I still find it to be superb in its MOR style. In this piece, I have great affection for two other performers: Gieseking and Rubinstein. Both did more than one version and I'd be hard pressed to choose the "best." I will say that Rubinstein's mono (late 40s? early 50s?) does a bit more for me as an interp than his later stereo version, but I'm going on somewhat dim memory here...it's been a while since I put both versions on back to back. Oddly enough, though I adore Richter's playing in most repertoire and he recorded the Grieg often enough, I've never really warmed to his way with the piece. His earlier one with Hans Rosbaud is the pianist's usual patrician approach, all craftsmanship & tonal splendor.....but his NEXT one, with Karajan (w/Philharmonia) is a real "booby prize." As the first movement nears its climactic cadenza, pianist & conductor engage in a maddening battle of tempo fluctuation--in one direction, SLOWER. Each man is intent on stretching the tempo even further. It's great stuff, of course, but one of the freaks of this work's discography. RCA 61262 [or 5363] - Artur Rubinstein, pianist, RCA Symphony Orchestra, Alfred Wallenstein, conductor [recorded 1961 and available in other RCA issues as well]. This differs from the one Rubinstein recorded with Ormandy and the Philadelphia Orchestra. Both are excellent, but everything seems "right" in the Wallenstein-directed inscription. RCA 60832 - Kjell Baekkelund, pianist, Oslo Philharmonic, Odd Grüner-Hegge, conductor. You may laugh at this pick, but it captures the essence of Grieg quite stunningly and still holds up well after all these years and is budget-priced, something that may slip through collectors' fingers easily. EMI 69024 - Leonard Pennario, piano, Los Angeles Philharmonic, Erich Leinsdorf, conductor. This is the kind of repertoire that Pennario's career thrived on. Both virtuosic and delicate, the pianist gives his all in a recording that has stood the test of time, a carryover from the LP days. EMI 63050 [or 67735] - Solomon, piano, Philharmonia Orchestra, Herbert Menges, conductor. A straight-laced interpretation, as one would expect from Solomon, who was more noted for his Beethoven. A no-frills approach by a master of the keyboard who cold adapt to anything. His Schumann Piano Concerto is also superb. EMI 74808 - Dinu Lipatti, piano, Philharmonia Orchestra, Alceo Galliera, conductor. Another performance in the Solomon manner, always first class pianism with complete devotion to the composer. Testament 1187 - Benno Moiseiwitsch, piano, Philharmonia Orchestra, Otto Ackermann, conductor. One of the great pianists of the golden age who made stunning recordings right on into the stereo era. Purity of tone, beauty of phrasing, all here by this master, Moiseiwitsch. These are recordings that should never die. I also recall an absolutely stunning recording that was FREE with the BBC Magazine subscription, this with Gina Bachauer at the piano with the BBC Symphony Orchestra conducted by Sir Malcolm Sargent. (Imagine, free!) Another is pianist Earl Wild, who recorded the work with conductor René Leibowitz and the Royal Philharmonic Orchestra, available on a Chesky CD. Historically, you might consider Percy Grainger's performance with the Hollywood Bowl Symphony under Leopold Stokowski's direction on the Music & Arts label . Grainger was a great friend of Grieg's and this was considered his "signature" concerto. Other superb recordings are those by Leon Fleisher, Jorge Bolet, and Clifford Curzon, among many others. It seems to me that if you have a couple of any of the above, you will be well satisfied, and I haven't even mentioned others that are great performances, such as Sviatoslav Richter, Michelangeli, Eugene List, Sondra Bianca, Shura Cherkassky ... ah, too many to list! Here is one you'll find on no current list: Adrian Aeschbacher, with Berlin Philharmonic Orchestra, Leopold Ludwig conducting. This was recorded by DG in the Fifties. On one of our annual visits with the Aeschbachers Zurich in the Eighties, Adrian brought out a 10" LP and presented it to us. Last year, his son, conductor Matthias Aeschbacher, surprised us with several CDs, based on master tapes DG presented to Adrian on his 70th birthday in 1982. The group includes the Grieg Conmcerto. It's still a lovely peformance. Werner wrote: Last year, his son, conductor Matthias Aeschbacher, surprised us with several CDs, based on master tapes DG presented to Adrian on his 70th birthday in 1982. Show off. It's not nice to excite envy in the assembled ears. I've yet to hear a really bad recording of this masterpiece. I have 5 recordings--the Zimerman and Ousset mentioned above and O'Hora/Judd, Tomsic/Nanut, and Pennario/Leinsdorf. Among the first four I find it hard to say that one is better than the others. The Pennario is not as good perhaps in good part to inferior sound. GK wrote: I've yet to hear a really bad recording of this masterpiece. I have 5 recordings--the Zimerman and Ousset mentioned above and O'Hora/Judd, Tomsic/Nanut, and Pennario/Leinsdorf. Among the first four I find it hard to say that one is better than the others. The Pennario is not as good perhaps in good part to inferior sound. Well, the Grieg Piano Concerto with Pennario was published in 1958 so it represents very early stereo. It was recorded by Capitol Records back then, prior to its acquisition by EMI Records. I'm not sure how Capitol's stereo production abilities were (some of their original mono wasn't outstanding, nor their pressings either), but the Los Angeles Philharmonic, under Leinsdorf, was in top form, as was Mr. Pennario. It's actually very hard to believe this recording is almost fifty years old, and me along with it! Last edited by Lance on Tue May 23, 2006 5:36 pm, edited 1 time in total. Can you imagine, a guy who did quite literally everything else on records.....? He's backed by Karsten Andersen & the Bergen Symphony, the finale (as this work is EVERY YEAR there) for the 1970 Bergen Festival. Ashkenazy does his usual colorful, intelligent job with it. Wallingford wrote: Can you imagine, a guy who did quite literally everything else on records.....? 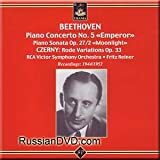 Not hard at all, since I've had to come to terms with Richter, who never recorded the Beethoven PC#2,4 or 5, or all the Beethoven sonatas, or tons of Mozart, etc.--even though his repertoire, too, was enormous. Probably the WORST (or, rather, least memorable) performance of the concerto was a live concert I saw in London, 11/15/02, with OLLI MUSTONEN and Daniel Harding with the LPO. It PUT ME TO SLEEP!!! In fact, in retrieving the info on the internet just now, I was rather mortified to find Mustonen the culprit in this most-unmemorbale performanc, given his heritage. In any case, Mustonen & Harding seemed determined to pull apart this music.....which would've been all very well if they'd put it back together again! (I listened to a Seattle Symphony broadcast just last night, with a concert including Mustonen's rendering of Prokofiev's Third....very fine performance, and one of which Gerard Schwarz spoke very highly beforehand, noting Mustonen's "shedding of new light" on the work......guess I'm not the listener who expects a great deal in approaching a well-worn piece of music). Last edited by Wallingford on Thu May 25, 2006 7:07 pm, edited 2 times in total. dirkronk wrote: Richter, who never recorded the Beethoven PC#2,4 or 5, or all the Beethoven sonatas, or tons of Mozart, etc.--even though his repertoire, too, was enormous. Are you sure? I thought I had a Richter #5 under Reiner. Well, I thought there was an "Emperor" with S. Richter, too ... looked in vain, and couldn't immediately find it on CD. LP? I can't recall, but it is amazing that he never recorded Beethoven 4 or 5. Maybe they were not his cup o' tea. Cliburn recorded an "Emperor" with Reiner, though. Maybe that's the one you're thinking of, eh? Lp. Maybe I am thinking of the Cliburn. WILHELM BACKHAUS (w/Barbirolli).....yeah, you'd think Backhaus would be the last person to give this work the royal treatment (actually, no, that prize would belong to Schnabel). Backhaus gives it his usual intelligent, yet grand, performance. Also, SEVERIN EISENBERGER.....some one-of-a-kind transcription of him doing it live, these discs were just about thrown out by his daughter when going thru his estate (!!!). Pearl has issued this performance on CD, though it's been out of print for years now. Eisenberger--as well as Grainger & DeGreef--were friends of Grieg. Wallingford wrote: [snipped] Also, SEVERIN EISENBERGER.....some one-of-a-kind transcription of him doing it live, these discs were just about thrown out by his daughter when going thru his estate (!!!). Pearl has issued this performance on CD, though it's been out of print for years now. Wallingford, it's interesting that you should bring up the name of Severin Eisenberger. A few years ago, I interviewed one of his students, an British-born-Toronto-to-USA resident, Vivien Harvey Slater[/i] who was the artist in residence at Colgate University in Hamilton, New York, about 1½ hours by car from where I live. She is noted for her Musical Heritage LP recordings of the music of Carl Czerny and recordings of American composers. On one occasion, I had an opportunity to prepare her piano for a recital in Norwich, New York (where a new Baldwin grand piano was being dedicated) shortly after which I went to home and interviewed her for my radio broadcast. She spoke warmly of her teacher, Severin Eisenberger, which prompted me to acquire some of his recordings. She is retired now, but still teaches privately. She will be 89 years young in August 2006. You're absolutely right-on: Pearl of England issued a CD . I guess that's been out-of-print for years, a great reason for getting these things when you see them. This was a CD entitled "Grieg and His Circle Play Grieg," and Eisenberger's recording was made "live" on March 4th, 1938 with the Cincinnati Conservatory Orchestra under Alexander von Kreisler's direction. Until this performance came out on Pearl, it was previously unavailable, thanks to his daughter, Agnes Eisenberger. 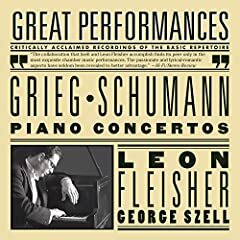 Other pianists on the disc include Grieg himself (recorded 1903), Johanna Stockmarr, Arthur de Greef, Percy Grainger, Leopold Godowsky and Walter Gieseking. The disc was generously filled at 76:10. Pearl, in their limited series on the Opal label, also issued an all-Severin Eisenberger CD , which contains Chopin's Piano Concerto #2 (same forces as the Grieg, above), selections from Schumann's Fantasiestücke, Op. 12, two Brahms/I. Friedman waltzes along with an Intermezzo and Rhapsody and the Schubert/Tausig Capriccio and the Schubert/Liszt Soirée de Vienne, No. 6, over 64 minutes of Mr. Eisenberger! 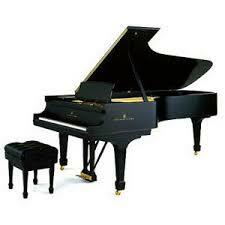 What great pleasure their is in taking in the pianism and musicianship of the so-called "golden age." Interesting points of Eisenberger's musical life is that he actually heard Brahms, von Bülow, Anton Rubinstein, Busoni, and Eugen D'Albert. He also spent time with the great piano pedagogue, Theodor Leschetizky in Vienna. What the passage of time does to these great artists of years gone by! If it weren't for those of us who hold these artists in the highest esteem, their memories would fade away more than they already have. Thank you, Wallingford, for bringing up Eisenberger's name!